A discussion in one of our many discussion threads raised the issue of “religious literature for women” which caused me to think of that remarkable document, the Women’s Yiddish Bible (also called Tseno Ureno, Tzenah Urenah, and צאנה וראינה). It has a Wikipedia entry. 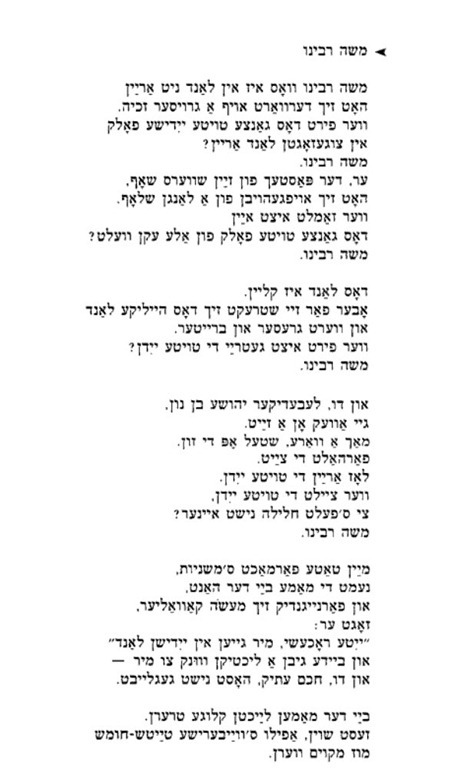 That in turn reminded me a remarkable poem by Jacob Glatshteyn (also called Yankev Glatstein, Gladstone) which mentions the Women’s Yiddish Bible. I’ll share his biography with you below, but I would like you to read this poem. It dates from a collection from 1953 (five years after the founding of the state of Israel), My Father’s Shadow. Was awarded a great honor. Woke up from a long sleep. The whole dead people from all corners of the world? And grows bigger and wider. Who now faithfully leads the dead Jews? Make way, stay the sun. Let in the dead Jews. And you, wise guy, didn’t believe. Clever tears gleam in my mother’s eyes. Now before I give you a little background on Glatshteyn, let me mention that the phrase “Our Teacher Moses” is just the translation of a typical title given to Moses: Moshe Rabbeinu. The translation above (and the biographical sketch below) are from Benjamin and Barbara Harshav’s book, American Yiddish Poetry: A Bilingual Anthology. 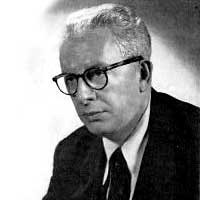 After the Holocaust, Jacob Glatshteyn was the most celebrated “national” Yiddish poet. Readers found in his poetry a response to the catastrophe and evocation of Jewish historiosophical awareness. When the critics lauded the later Glatshteyn as a great “national” poet, A. Leyeles challenged them, arguing that for Introspectivists, Glatshteyn had always been a great poet. Indeed, without the development of Glatshteyn’s sophisticated, individualistic, and ironic style, sparkling with wit and innovations of language, the achievements of his Holocaust poetry would have been impossible. Glatshteyn’s nationalistic poetry was deceptively simple; between the 1920s and 1950s, the Yiddish reader also grew into accepting Modernist poetry and free verse. Clearly, the catastrophe in Europe brought Jewish themes into the center of Glatshteyn’s poetry. In earlier poems such as “Autobiography” and “Jewish Kingdoms” (1929), Glatshteyn still dissociated himself from his Eastern-European past or looked at it with amazement, but the events of the late thirties brought him back to the Jewish ghetto. In 1938 and early 1939, Glatshteyn was among the first to sense the coming disaster. In such poems as “A Hunger Fell Upon Us,” “On the Butcher Block,” “Here I Have Never Been,” and the celebrated “Goodnight, World,” he gave forceful expression to a sense of Jewish isolation in the face of the approaching catastrophe, although only its first signs were apparent at the time. It was only after the Holocaust that he was able to re-create from a certain distance of tragic tranquility the pious world of his parents and his childhood. His first book, entitled Jacob Glatshteyn (1921), was a celebration of moments in the present, a bewildered individual’s attempt to make some sense of the “world tangle” (velt-plonter), with some traces of New York in the background and no sign of history. It was also the first book in Yiddish poetry written entirely in free verse. Glatshteyn went on to write a dozen mature books, very American in their sensibilities, only to announce himself in 1966, in the very title of his book, as A Jew from Lublin. Glatshteyn was born in Lublin, Poland, then under Russian rule, to an Englightened religious family. He received a traditional education until the age of sixteen, studying the Bible, the Talmud, and later commentaries, as well as secular subjects with private tutors. His father introduced him to modern Yiddish literature. In 1914, he immigrated to America to join an uncle, and in the same year published his first short story in the anarchist Yiddish newspaper, Di Fraye Arbeter Shtime. After 1918 he studied law at New York University, but abandoned it for the career of a Yiddish writer. At first, Glatshteyn felt that poets should refrain from journalism, but after some years he relented, making a living through the only Yiddish medium with a mass audience, the newspaper. In 1926 he became a regular contributor to one of the three New York Yiddish dailies, Morgen-Zhurnal, and participated actively in other Yiddish journals. 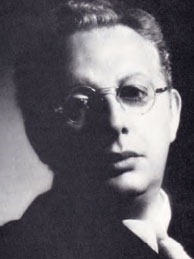 In 1945 he began writing a regular column for the weekly Yiddisher Kemfer, entitled “In Tokh Genumen” (The Heart of the Matter), publishing until 1957 some six hundred essays – primarily literary criticism, reviews of new books, and discussions of Jewish cultural problems. Some of these essays were masterpieces of Yiddish style and of concise, sensitive, and personal literary criticism. In 1940, Glatshteyn received the Louis Lamed Prize for his two volumes of masterly prose, When Yash Went and When Yash Came [revised English translation now available as The Glatstein Chronicles], which reflected the author’s confrontation with the Old World during a voyage to Europe in 1934. He received the Lamed prize again in 1956 for a volume of his collected poems, From All My Toil (which was arranged in reverse chronological order). Glatshteyn always believed in experimentation in poetry and in the need for the poet to create his own individual language. In his poems, he laid bare the unique properties of the Yiddish language, articulating the interplay of the source languages of Yiddish, using the wealth of Yiddish idioms for new poetic metaphors, and weaving the intonations of colloquial folk Yiddish into the measured sentences of a modern intellectual. The interplay of invention and stylistic parody reached a virtuoso culmination in pieces such as “If Joyce Had Written in Yiddish” (an emulation of the style of Finnegans Wake) and especially in his book, Yiddishtaytsh (here translated as Exegyddish), which is one of the most brilliant achievements of Yiddish poetry, and for the most part untranslatable. Exegyddish appeared in 1937, just a year before Glatshteyn’s first Holocaust poems, which, though replete with irony, shifted to a blunt, straightforward style. Glatshteyn’s experiments with language – the fresh turn of phrases, the effective interplay with dialects, the archaisms or Hebrew allusions – are at work in his later period as well, though naturally subordinated to the “theme” imposed by the intrusion of history. In the last thirty years of his life, Glatshteyn’s poetry became an incessant internalized conversation on Jewish history, the lost world of European Jewry, the birth of Israel, assimilation in America, the tragic demise of the Yiddish language, and the loneliness of the poet. If you are interested in reading Glatshteyn, I suggest starting with the excellent American Yiddish Poetry bilingual anthology and The Glatstein Chronicles. Other English books of interest include Selected Poems of Yankev Glatshteyn, Emil and Karl, and the bilingual I Keep Recalling: The Holocaust Poems of Jacob Glatstein. The Women’s Jewish Bible is reported adapted in this two volume set, although I have not read this adaptation. See an excerpt from Glatshteyn’s “Chronicles” book here. Here are recordings of him reading his poetry. Thanks so much for this introduction to Glatshteyn — I’m really excited to start reading his work.